24" Push Broom with Hard Bristles. No metal staples used. 100% Plastic. Use with patented Cam-LockTM tip for maximum handle locking - keeps handle from unscrewing from broom block. Heavy duty construction. Will not split like wooden blocks. Ideal for Metal-Free environments. 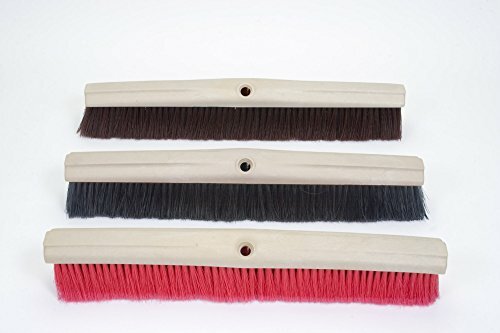 Libman 805 Multi-Surface Push Broom with Recycled Broom Fibers, 24"